How would they justify tearing down a handicapped equipped station (Addison) with elevators? That makes no sense to me, especially when there are stations still waiting to become handicapped accessible. I was surprised to hear that building a subway is just as expensive as rebuilding the NSM. Who are they kidding? Are we to trust the people who brought us the block 37 debacle to bring us a subway? Where would they put an incline to the subway in wrigleyville? I hate to say it, but it sounds to me like the real reason is so they can cut more service. In the long run that saves more money in operating costs. If they really want to do that, how do they plan to fit the extra commuters in an already overpacked 8 car train. Also the purple line does help out the brown line at the south end. If they remove that service I don't see how they could avoid a brown line service increase to fill the void. As far as the project timeline, it going to be 7 or 8 years for the north end maybe 2017 or 18 for the extension to 130th. These are the same people that said we'd have a yellow, red and orange line extension no later than 2016. I agree 100% with BusHunter, especially with regard to the Block 37 example, which was one of many discussed on the CTA Tattler. I said before that this was fantasyland. In fact, all the news stories yesterday about "The CTA is holding a hearing in Evanston to discuss closing five stations" was pure hysteria, apparently fomented by some activists in Evanston and Ald. Joe Moore. As sw would put it, the free riders at Foster are not going to be around if and when that plan is ever implemented. Yet, the media made it sound like this was the Nov. 2009 budget hearings, and doomsday was actually coming Feb., 2010. Also, what is the justification for even keeping Jarvis open now, considering that it is two blocks from the new Howard entrance? Maybe rmadison should have used "if" with bold and underline. Also, as someone else pointed out on the Tattler, if we are to take this stuff seriously, CTA showed real bad planning by sinking, maybe $300 mil. of the $500 mil. of the Brown Line project into the new stations at Fullerton and Belmont, when they should have built a subway on Sheffield between Clybourn and Roscoe. That's going to make a lot of sense--route a new subway onto a 120-year old L, sort of like the mess of the Blue Line going from the Kimball subway to an L at Logan Square (still slow zoned around California, but there is the mostly new Western station) into the subway north of Division. Given all the things I have mentioned, including the Green Line rehab not being as represented, the Dan Ryan Red Line rehab not being as represented (too bad Rahm spilled the beans on that one), the Brown Line one having to be scaled back because the bids didn't come in like the consultants predicted, Mayor Daley praying that Hu is going to give him a high speed railroad to O'Hare (making the useless Block 37 hole even more useless) and the New Starts still not even getting to the EIS stage after five years, maybe we can say that the only thing the CTA planning department or its consultants can do is spend 5339 money, but can't plan ahead. The only project that seems to have turned out to expectations is the Pink Line, although one has to wonder if even that was worth the investment, given that the passenger load only supports 4 car trains. $300 million for two stations?!?! Wow, that seems excessive - even for those large stations. Where was that reported? Did they give any reason for that excessive cost? I have to say, that's my estimate, so if you want a report, I'm sorry, although I suppose someone could dig into the 3 individual bid documents for the phases of the project. They had to condemn real estate on Wilton Street, adjoining both both the Belmont and Fullerton stations, including a DePaul gym and other property on the DePaul Campus. They had to redo the switching system to implement 3-track. They probably had to do that anyway, but that's still part of that leg of the line. They had to demolish the existing L structures at the two stations, and build new concrete ones, then build state of the art stations at the two locations. If my comment applied to the North Main, one would also have to add condemnation and reconstruction at Armitage, Diversey and Wellington (which would have been done differently if the subway mentioned on the Tattler was done). It looks like they avoided taking out a chunk of the Illinois Masonic Hospital parking garage. There was also various historical preservation work (like moving one of the stations to the other side of the street, and at Armitage). Compared to that, the work on the actual Ravenswood was minimal, on the elevated stops the major work being extending existing platforms 2 cars, adding elevators, some iron grillwork and historic preservation. More extensive work was also done at Chicago, which can't be attributed to the North Main. Substation work would have been needed in any event. So, while I may have used some s.w.a.g., I don't think I was out of bounds. I see that the Trib Local article on the Evanston meeting provides a balanced perspective. I also see that despite what CTA5750 and I previously said, someone is still using the negative button without articulating any reason why the comments are wrong. If you don't have fact or a reasoned argument against what is being said, QUIT BEING A COWARD. The high price in the Belmont and Fullerton stations most likely also came from the complete rebuilding of the track structure around those stops. It also has elements that the other brown line stations do not like concrete flooring and escalators. What has me wondering about the subway proposal is why are they so concerned with that section of track. Loyola to Howard to Central is not just as old? Also one of the objectives is to remove curves like at Sheridan. This is virtually impossible unless they build the subway or buy mega amounts of property in an already conjested area. I would look at removing the curves leading up to it, but leaving the curve itself intact. This would save alot of money. What has me wondering about the subway proposal is why are they so concerned with that section of track. Loyola to Howard to Central is not just as old? Also one of the objectives is to remove curves like at Sheridan. This is virtually impossible unless they build the subway or buy mega amounts of property in an already conjested area. I would look at removing the curves leading up to it, but leaving the curve itself intact. This would save alot of money. Most of this got discussed on the Tattler or is apparent from the links Kevin Z posted here, and Kevin's discussion. It seems like most of the $4 billion plans call for removing the embankment from Loyola to Howard and replacing it with a concrete L. Even the express station alternative calls for removing the embankment at Loyola and building a new station sort of similar to Belmont. People on the Tattler seemed to agree that the property at Sheridan and Sheridan (south of Irving Park) wasn't that valuable. I don't know. Obviously, the intent is similar to straightening out the curve at Wabash and Harrison. They also talked about the Sheridan station being untenable to being equipped for ADA at its current location, but I would argue to move it to north of Irving Park. The main debate there seemed to be that if one retained an L the need to condemn land to expand the stations, sort of similar to what I said about Belmont and Fullerton, but I replied that one couldn't assume that the new subway stations would just be holes in the sidewalk. Finishing my tour of the CTA Contract Opportunities page, there is a proposal for replacing several Purple Line viaducts in Evanston. It appears that there wasn't any need for any "vision" process to figure that out. first and foremost the subway option and the 2 track opition is the worst opition ever. think about it... wouldnt you want new safe 4 tracks with faster service (brown line service is better than ever belmont south to the loop) and then express service could be added 7 days a week verse faster 2 track or subway service? also more printed access to this acccess could be provided to this project why not reprint more redpurplemoderation scoping booklets so we may know whats happening you may have people workin later hours and couldnt make it to the meeting CTA be more understanding to you riders you serve instead if saying ohh you come here to get information or thats it and also not all people can still get access to this info because of dusabilities RESPECT THAT!!!!!! .... also more printed access to this acccess could be provided to this project why not reprint more redpurplemoderation scoping booklets so we may know whats happening you may have people workin later hours and couldnt make it to the meeting CTA be more understanding to you riders you serve instead if saying ohh you come here to get information or thats it and also not all people can still get access to this info because of dusabilities RESPECT THAT!!!!!! The booklets are available here 24/7 - as is a lot of other information. I was kind of shocked to hear that Loyola station on the Red line was going to be rehabbed. (last rebuilt in the early 80's; already accessible) I looked however into more of what the project deals with and it appears to be a station entrance rehab with the station entrance pushed back away from the street and a park like setting in front of the station. Sounds as if the south half of the station is saying bye bye (over the Sheridan bridge) If the station entrance is pushed back I would think new elevator towers would be installed as well. Also part of the rehab deals with a Sheridan bridge rehab as well. This leaves me with a few questions. Why rehab the Sheridan bridge when a possible subway could be coming soon that would travel down Broadway/Sheridan? Wouldn't an incline have to be built around the same spot as loyola station possibly making it an at grade or below grade/subway station. Why rehab a bridge that may not be around in 5-10 years? Wouldn't it have been a little wiser to do a rehab at Morse away from the major construction along the Broadway corridor? On the other foot, If an Orange line like concrete aerial structure were built (the other option) wouldn't the bridge be demolished anyway? (So both plans would cancel out the bridge.) I think this project may have the potential to be a bust. 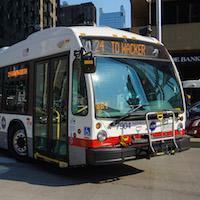 I had heard that on the radio earlier, but left my comments here on the CTA Tattler. Se also the picture link Mike Payne posted there. After ruminating your comments, especially my one about how the bridge indicates that the portal for a Broadway subway won't be there, and there doesn't seem any indication to change this to a two platform station, my only conclusion is that they took the $11 million when they could, but the subway plan is dead. They could never get the funding for it, anyway (I'll have to see if Claypool has anything but corporate speak on that topic today). Update: Answer: No. Look at the CTA's site, transitchicago.com. It is under the pulldown for "News and Initiatives" under "Planning and Expansion." Upon looking at the picture of the rendering, this is nothing more than a cosmetic facelift. The station will stay the same (no elevator tower changes) even the bridge itself is just being recemented with some new rebar added where old support is rusting away. As far as the subway project/aerial structure there doing an AA study which translates to at least 5-10 years down the road. The Dan Ryan extension should be done by then. I don't know how the north side mains structure is going to hold up during all the studies. They may just end up with a 15 MPH restricted line like the Lake St. line was before they rehabbed it. But unlike the green line with lower ridership levels the Red/purple line ridership level is high through that area. Ridership on the #147 may soar if that happens. It basically gets down to whether CTA is doing any long range planning in this regard. The studies were first justified as "we don't have a funding source," but apparently if there is going to be a federal funding source, they'll need the studies to do a New Start. However, as far as any indication goes, the federal transportation funding bill's status is a complete mess. Meanwhile, Kevin O'Neil of the Tattler indicated that the rendering was done by Loyola's architects. Also, it apparently took Loyola to get this off the schneid, even though Durbin took credit for a federal grant. So, I don't know if I went too far in making inferences about CTA's intentions from that. ... Another thing to note in the Durbin press release, is the Wilson (Red) rehab which notes elevator towers. Would they actually rehab this station even though we don't yet know what's going to happen with the red purple modernization whether that be subway or not. I would think they would have to decide on a plan soon, unless there going to rebuild a station twice. Normally, work on rapid transit has an FTA useful life of about 40 years. Of course, I don't know how much CTA is getting for the $6 million. The tracks in that area need to be straightened out, but I'm sure that isn't paying for that. It might be similar to the situation Graham Garfield said about the Dorchester station, where he said that some work was done, but the FTA gave permission to tear it down. However, since I have said that the options other than "fix it" are unrealistic, this is probably an acknowledgement of that. As far as the rationale, it appears that again CTA stretched it, for while Wilson needs work, this was classified as a "Bus Liveability" grant, and I doubt that that many people are transferring to the L from the 145/148. Looks like The Dan Ryan is going to start getting it's repairs next year. Quinn just signed off $646,000,000 today for that and Purplie Line Track Replacement. Wonder what they are going to add to the Dan Ryan station upgrades though. I noted that in the budget thread, since it was mostly south. I also noted that despite saying that they replaced substations in 2006, that's on this list, too. Looks as if either the purple/red line modernization (new subway or structure) is dead or dying. Here's some specifics I was able to dig up on what exactly is getting replaced. The South side is mostly getting station upgrades and new ties. I don't understand what could need upgrading as far as stations, unless there going to make all Dan Ryan stops accessible now. The new ties will improve travel greatly. On the Purple line segment, there going to replace ties from Belmont to Linden. This is what I don't understand. Remembering all the press on how the structure was bad will new ties improve travel? With this funding project announcement and the Wilson rehab it looks as if the other RPM plan is dying, unless this is a stop gap measure to the grand plan, but nobody has said that so far. Here's an example of the "primary source rule." That had a link to a CTA Press Release, but from the content of that, it appeared to be a usual byproduct of the Mayor's Press Release, except for all the hyperbole supposedly attributed to Quinn, which indicates that it originally was a State Press Release. At this point, you know that there is nothing concrete* being disclosed to the public, especially by the time it got to Evanston. The Purple Line is a really slow ride right now. Even if it's just a stopgap, if new ties help speed things up a bit, then it's definitely worth it. That is supported by the end of the scoping booklet. Apparently there is also something called "Your Red" which encompasses the 3 projects (RPM, 130th, and Dan Ryan), but the Dan Ryan portion is just a paean for track removal and a slow zone map, again ignoring that the slow zones were supposedly eliminated in 2007. New ties may have a comparatively short useful life (considering how CTA keeps wavering between wood, concrete, and composite), but the relevant issues regarding this is whether it pays to put in new ties while the overpasses are falling apart. Maybe they are not falling apart as fast as in Evanston, and new bridges would have new ties, but one might think that fixing the track slow zone wouldn't fix the structural slow zone. The more interesting issue is the rephrasing of the Wilson work from the Durbin release to make it accessible to the current release that "it will be rebult." Maybe state money doesn't have a useful life requirement (as shown by the NABIs), but complete rebuilding seems inconsistent with most of the RPM plans, especially the subway one. Nonetheless, it appears that someone is still paying money to consultants on the RPM, sort of assuming that they are going to get federal money for it.